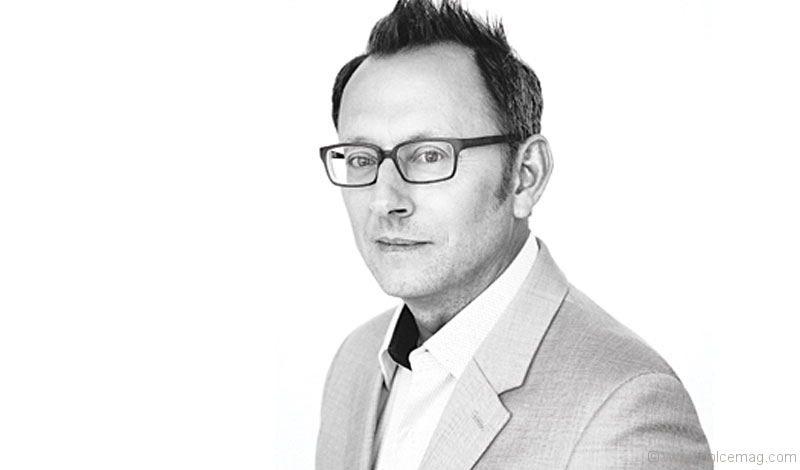 Dolce Magazine chats with Person of Interest star Michael Emerson about his new PBS show, fashion and folk art. Dolce: The Mystery of Matter: Search For The Elements premiered this August. Tell us a bit about your experience as the show’s host. What did you personally learn through the process about the history of science? Michael Emerson: I learned a great deal working on that show — most of the science was new to me and the performance of the experiments was an unexpected challenge. I stand amazed at the early scientists who made these discoveries with such simple tools. Their work seems like a religion of sorts. D: Are you a fan of art? If so, which artist or painting are you drawn to? ME: I was a draftsman for many years so I am drawn to black and white drawings and etchings. Over the years I’ve learned to love folk artists from around the world — the simplicity, colour and sometimes profundity of it. D: Do you collect anything in specific? ME: Folk art — masks, carvings, textiles, etc. D: How would you describe your personal fashion style? ME: Old school. Tailored. Retro. D: Favourite fashion designer, and why? ME: Many favourites — Hugo Boss, Freemans Sporting Club, Paul Stuart, Isaia, Kenzo. ME: A sake — Izumi Judan from Dewazakura Brewery. ME: Too many to name — Checker cab, ’65 Mustang, ’57 Chevrolet, Dodge Challenger, Tesla. I could go on. D: What book is on your nightstand at the moment? ME: Complete Poems of W.B. Yeats. D: Over the years you’ve become kind of a big deal. Did you anticipate a successful career in acting while you were a magazine illustrator? ME: I didn’t anticipate any career at all. I wondered a lot if I would find a real calling in this life. When I began acting I felt I had an answer and it was such a relief to simply know what to do. D: What has been the most challenging part of your journey so far? Was there a particular fear or obstacle you had to overcome? ME: Like other actors I fear failure and embarrassment and unpreparedness. In my work there is a battle with exhaustion and distraction. D: What is your favourite place to retreat to after a long day at work? ME: A nicely lit bar and then home.